A spokesman for the family of Seth Rich -- a murder victim whose death has become the center of a conspiracy theory -- said "all [the family] really want at this point is for this to go away." "They have been utterly devastated this past year," Rich family spokesman Brad Bauman said on CNN's "New Day" Wednesday. "Over and over again, because of conspiracy theories that have popped up, they have been deprived of the opportunity to move forward.."
Rich, a Democratic National Campaign staffer, was killed last year in Washington D.C. in what authorities believe was a botched robbery. No suspects in the murder have been identified. A conspiracy theory that Rich had been killed in retaliation for allegedly handing over to Wikileaks emails from his DNC colleagues began to run wild after his death. In May, Fox News ran a story advancing the theory which quoted a Fox News contributor and former homicide detective Rod Wheeler. Wheeler, who was hired to investigate on behalf of the Rich family, contradicted details of the story after it was published. Days later, Fox News retracted it. Bauman's interview with CNN's Chris Cuomo came one day after Wheeler sued the channel and wealthy Republican Ed Butowsky over that story. In his lawsuit, Wheeler alleges that he was deliberately misquoted in the story and that his reputation has been damaged as a result. The lawsuit also accuses Fox and Butowsky of working with the White House to concoct the conspiracy that Rich was actually killed as retaliation for leaking information. The purpose of the conspiracy, the lawsuit alleges, was to discredit the U.S. intelligence community's determination that Russia hacked the DNC and obtained the emails released by Wikileaks. Bauman said the conspiracy theory is making it difficult for the Metropolitan Police Department to investigate the death of Rich. "All these folks want is to find the murderer or murderers that did this," he said, referring to the Rich family. "They are perplexed by the fact that anybody would use the murder of their son." Related: Who is Ed Butowsky? Bauman also chastised Butowsky for standing by the conspiracy in an interview that Butowsky gave to CNN on Tuesday, the day he was sued. 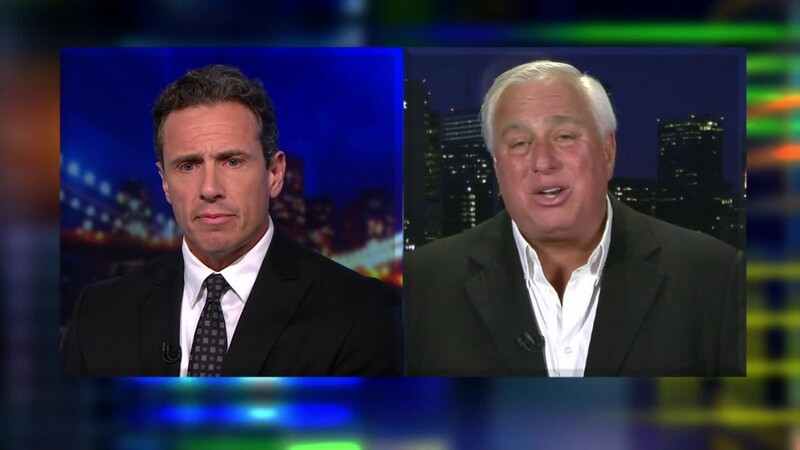 "Ed Butowsky had an opportunity to look the American people in the eye and the Seth Rich family in the eye and say, you know what, six months after I reached out to you, knowing what I know now, I cannot believe I put you in this position, and I am so, so sorry." said Bauman. CNNMoney reached out to Butowsky about the interview, but he said that he hadn't seen it. "Bauman, he'll say whatever he wants. Bauman is simply a hired guy who will say anything." Butowsky said that there's "absolutely no reason" for him to apologize to the Rich family because, "I haven't done anything to the Rich family. Quite frankly, Brad Bauman should apologize to the country for crafting a lie." -- CNNMoney's Oliver Darcy contributed reporting.